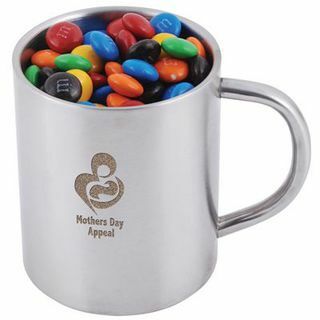 250 grams of milk chocolate M&M's packed in double wall stainless steel barrel mug. Finished weight - 406 grams. Packed in White gift box.